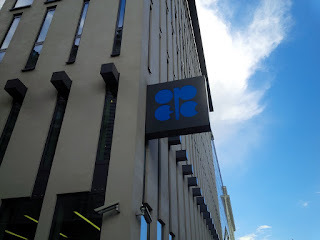 Right after the OPEC summit, we went into the home strait of the UK’s June 23rd referendum on its membership of the European Union, which has resulted in a Brexit or to put it more blandly – Britain’s exit from the EU. It drained the life out of talking about anything else, or writing about anything else or blogging about anything else. So please accept the Oilholic’s apologies for not responding on wider ‘crude’ affairs via this blog for much of the month. The deed is done; the British public voted 52% to 48% in favour of exiting the European Union, and to quote one departing EU official – "what has been done cannot be undone." The development followed a predictable market kerfuffle, with some comparing or at least attempting to compare its aftermath to the Lehman Brothers collapse. As the Oilholic said on a recent broadcast, serious though it might be, it is not quite on that scale for the oil markets. Oil will continue to lurk around the $50 per barrel level and struggle to cap that over the next six months, and much of it would have little direct connection to the Brexit vote. On the eve of the vote, yours truly looked at FX, oil and gold plays via a Forbes column, and did an oil market impact assessment or a crude Brexit post mortem exactly a week on from the outcome of the result. Brexit’s only contribution has been to add to the prevailing market sentiment that oil demand growth will not quite fire up. Most demand growth projections, for instance those of the IEA and OPEC, are in the 1.2 – 1.4 million barrels per day (bpd) range. The Oilholic suspects come the end of the year, even the lower end of that range might not be matched. 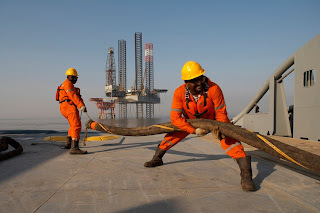 Brexit and the uncertainty in Europe would have some impact, but much of the oil market is reliant on emerging market demand and its direction should be the primary cause for concern. Europe accounts for only 15% of global trade. The direction of global trade and manufacturing is eastwards, by default so is the direction of the oil market. Furthermore, there is still plenty of oil around according to physical traders. What was one of the biggest oil gluts of all time last year, will not be resolved in a matter of months. The Oilholic has always maintained that the oil market will not rebalance until much later into 2017 and the oil price will stick around $50 level until December. Given that context, Brexit is just another crude problem, but not the only problem. Keep calm and carry on! © Gaurav Sharma 2016. Photo: Oil rig in South Asia © Cairn Energy. 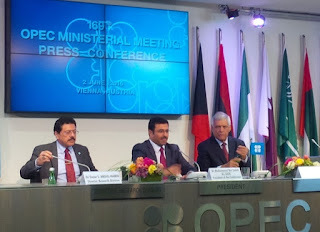 After a fact finding trip to Houston, Texas, the Oilholic finds himself back in Vienna, Austria for the 169th OPEC Ministers’ meeting. Based on initial soundbites, the 13 member oil producers’ collective is in a rather content mood. Well if you exclude the Venezuelans that is, who are decidedly grumpy by virtue of their own circumstances. Recent production outages in Canada, Colombia, and OPEC members Venezuela and Nigeria have served to support the oil price which has lurked around the $50 per barrel level for a while now. It is also now manifestly apparent that non-OPEC oil producers are suffering in an era of lower for longer oil prices. The Oilholic recently penned his thought on troubles of US shale players – flag bearers of non-OPEC production – in a Forbes piece, and that’s not where the trouble ends. Non-OPEC production as a whole remains in a precarious spot. Nonetheless, interpretation of the market situation differs from OPEC member to member, with the Venezuelans correctly querying where the oil price would go once outages end. There’s plenty of chatter here ahead of the meeting, but one man has largely kept mum – that’s none other than Saudi Oil Minister Khalid Al-Falih, who replaced Ali Al-Naimi, one of OPEC’s most colourful characters last month. It is doubtful that a new minister would alter an old Saudi policy. But the new man in charge has stayed away from the media since his arrival on Tuesday. Much to the disappointment of the world’s scribes, there was no Al-Naimi style power walk on Vienna’s Ring Road by new man either. 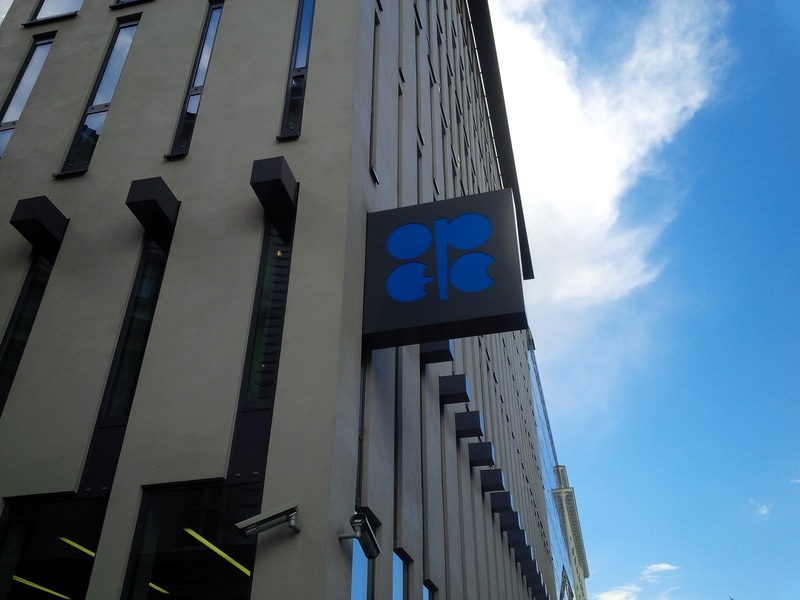 As for the analyst community, none of us expect any movement on the production quota front, although the rumour mill suggests OPEC might well be on the verge of finally appointing a new Secretary General. 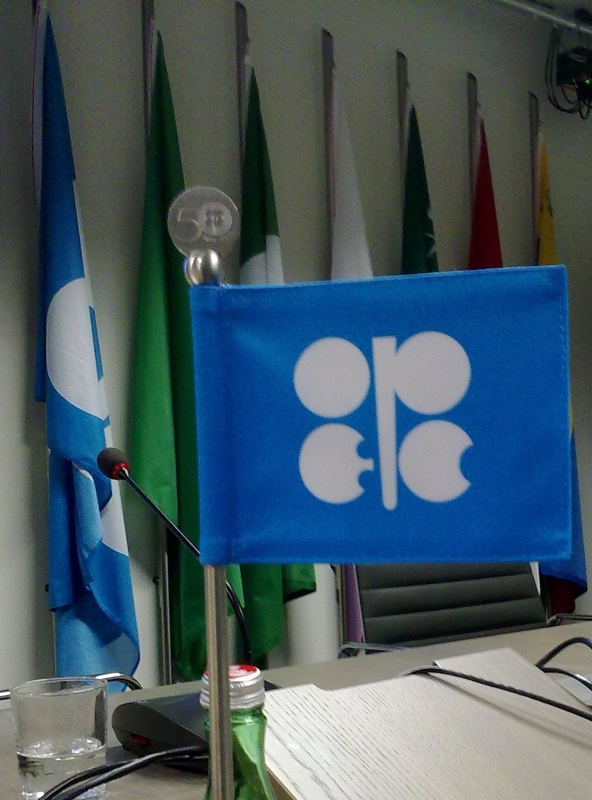 For an OPEC preview, check out the Oilholic’s submission to the International Business Times. Finally, just before one takes your leave, here are two Forbes posts – on Mexico’s upcoming offshore round and US exports respectively – to keep you busy. That’s all for the moment from Vienna folks, plenty more to follow over the coming days! Keep reading, keep it crude! © Gaurav Sharma 2016. 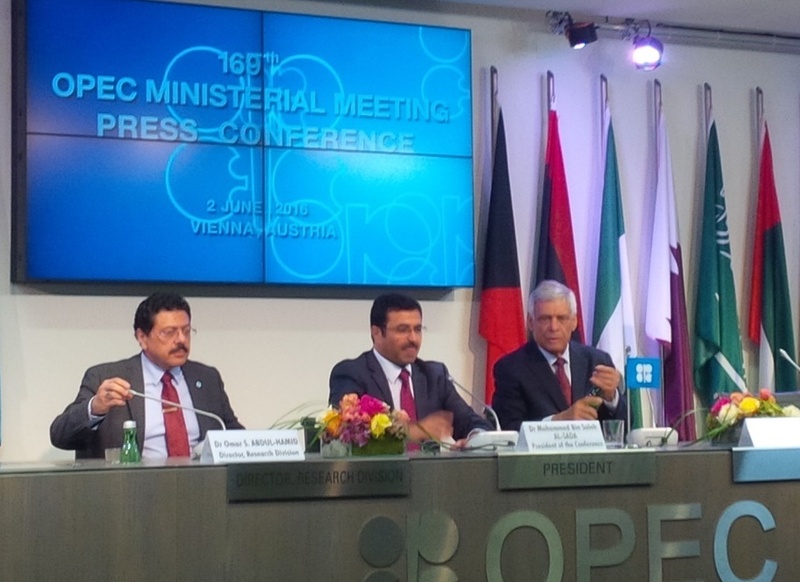 Photo: OPEC flag © Gaurav Sharma.